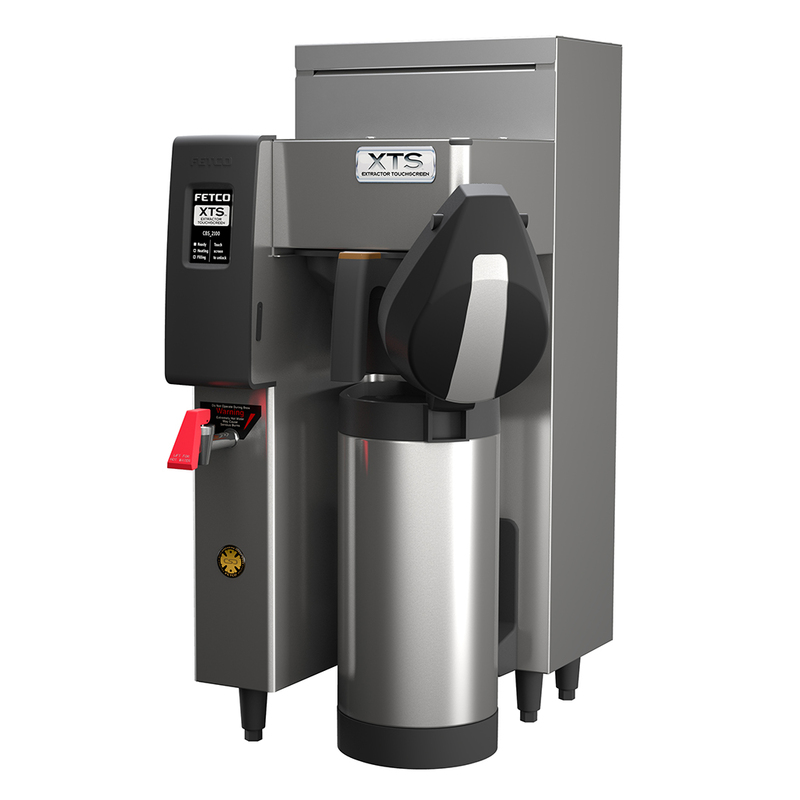 The Single Station CBS-2131XTS Touchscreen Series Airpot Coffee Brewer is a perfect hot beverage solution for high volume self-service environments such as convenience stores, cafeterias, specialty coffee shops or office coffee service (OCS). 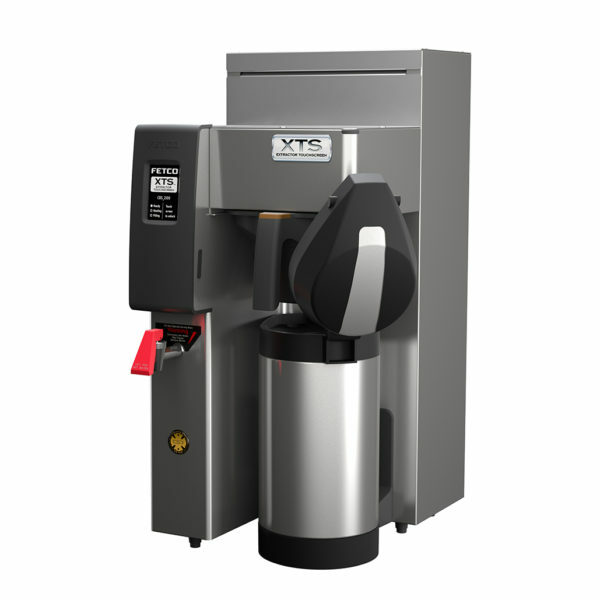 Now you can experience total control of this fully featured Extractor® Brewing System via an inviting touchscreen interface display that is intuitive, easy to read and simple to navigate. 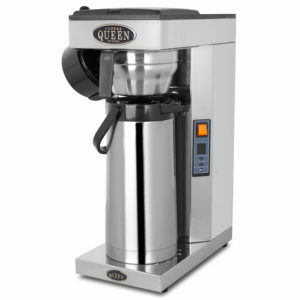 The brewer comes complete with 2 sets of legs (to be attached before installation) for either 3 Liter Airpot or 1 Gallon Airpot (#D063) / LUXUS Server (#L3S-10) dispensing. The brewer is programmed “out-of-the-box” for 3 Liter Airpot brewing but it is easy to program for 1 Gallon brewing through the simple-to-use touchscreen. The brewer comes equipped with the legendary Cascading Spray Dome (CSD). It’s designed so water flows over the outer surface of the dome instead of through tiny drain holes (competitor models) that easily can become clogged with mineral and scale over time. The CSD virtually eliminates spray head lime buildup – a leading reason for service calls. Fewer service calls means lower operating costs and more time producing revenue. Although designed specifically for smaller batch airpot dispensing, these high quality brewers possess the legendary features and reliable performance you’ve come to expect from Extractor® branded products. 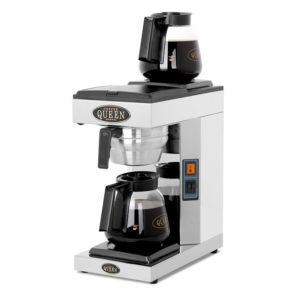 The brewer’s low profile and small footprint makes it the perfect choice for areas in which service space is at a premium – breakrooms, cafeteria countertops, lobby coffee service, etc.